IF continues to be a fiscal sponsor for the Terrabona Health Project (Preventive Care and Health Promotion for the Residents of the community of San José de Terrabona and surrounding Counties in Nicaragua). 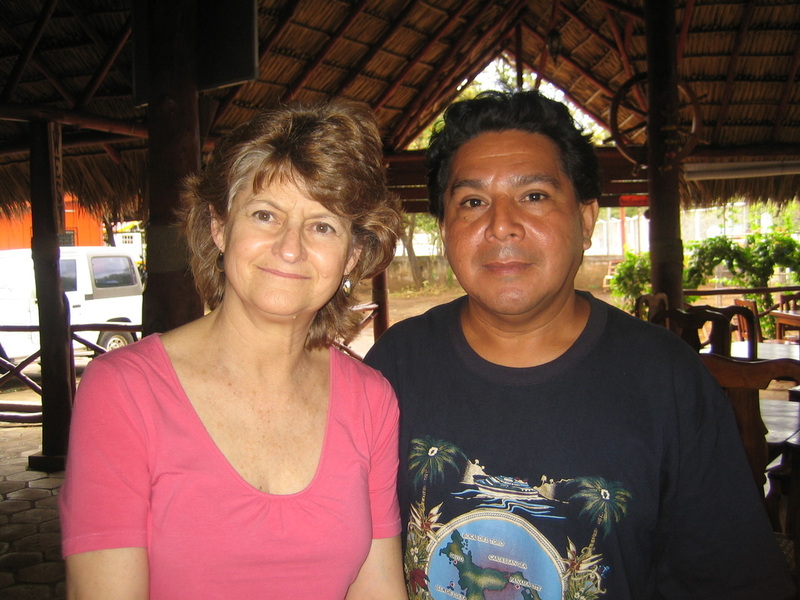 Jill Winegardner, Project Coordinator with Jader Loaisiga. Under this project a nurse/health educator, Jader Loaisiga, will provide a variety of health services to rural residents. The services include: home visits to educate residents about environmental and personal hygiene to prevent illness; vaccinations; presentations on preventive health to school children; and primary health care treatments (e.g. injections, treatment of wounds, etc.). The nurse will also meet with local community leaders to set up programs of educational talks and community health campaigns. Jader Antonio Loaisiga Tellez was born in Managua, Nicaragua in May 1965, the fourth of eight children.In the 80's, he served in the military and saw a lot of human suffering among his fellow soldiers and felt quite helpless, seeing how a lot of them died for lack of medical care. So, upon discharge from the army, he decided to become a nurse in order to alleviate the chronic lack of medical services for the poor. Government clinics are supposed to provide these services, but are often not affordable, charging large fees for medication. Jader studied for seven years at the Antonio Maneco Nursing school, then joined the staff of the Amucobu clinic, having met an Austrian doctor there who he admired. 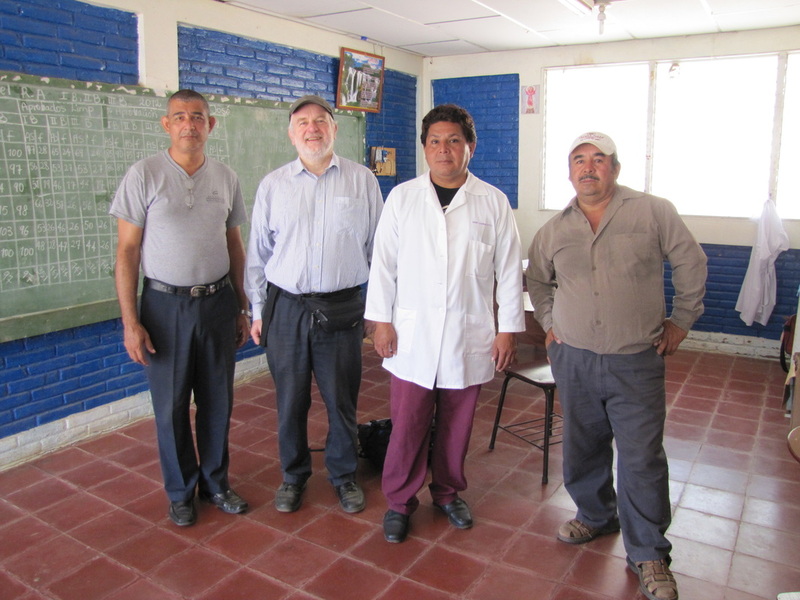 He has now worked at this clinic for 17 years and is much loved and respected by the people seeking healthcare there. 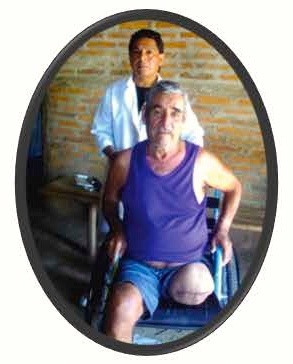 He is very grateful for his sponsors and donors because, without the financial backing, he would not be able to help so many poor people in Nicaragua. 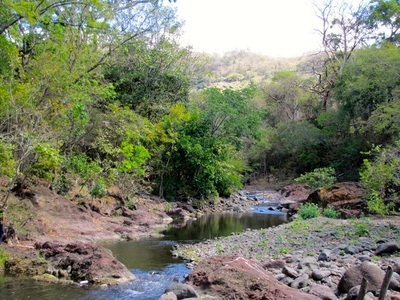 Jader works under the legal statutes of the Nicaraguan religious organisation Asociación Cristiana Pasos de Nicaragua (ACPN). 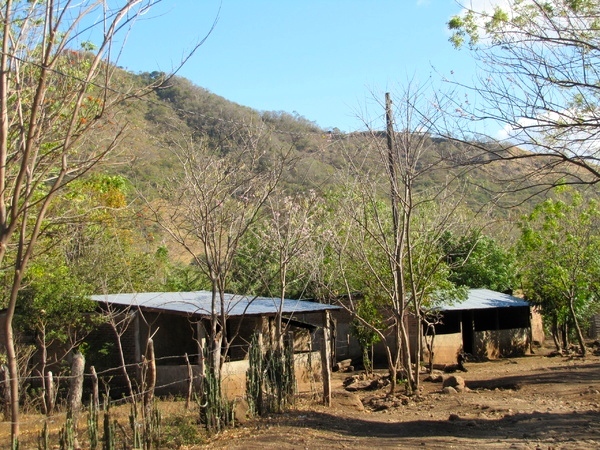 ACPN is a national non-profit development program that supports its own projects as well as acting as an “umbrella” organization for projects like this one.ACPN identified a position for Jader in San Jose de Terrabona but their support is limited to administrative help. The local community supplies food, accommodation and laundry services and the local government-run primary school provides Jader an office and consulting room. However, ACPN has no budget for further financial support. In September 2017 Jill Wineberger, project coordinator for IF, visited the health post in San Roque where the project nurse, Jader Loaisiga, works. She reported on the activities of the health clinic from January-September 2017 that focused on the provision and promotion of preventive health in the communities of San Roque, Pacora and the neighboring areas. Health Clinic (Nursing) - 855 nursing health services were administered. Meetings with community leaders - Jader held 13 meetings with community leaders to set up programs of educational talks and community health campaigns. Condoms - 460 condoms were distributed; this distribution is always associated with with counseling about family planning and sexually transmitted diseases. Community visits - Jader made 330 home visits in this period to raise awareness about various problems related to health. 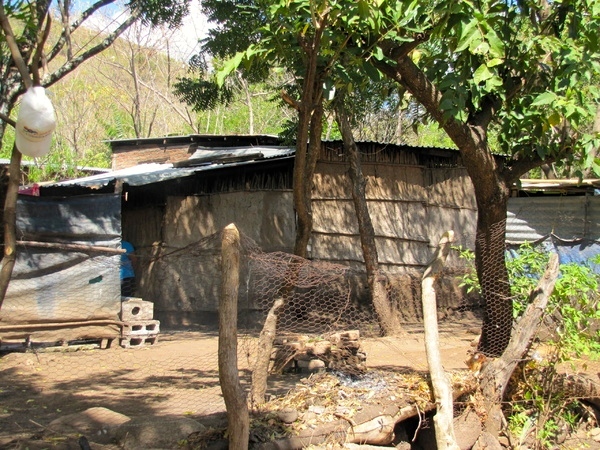 Jader told Jill that the government is planning to upgrade the health post by adding a bathroom, a private well that will have clean water, and another room so that he can sleep there overnight to be able to respond to emergencies at all hours. We hope that next year, we can tell you of these improvements. 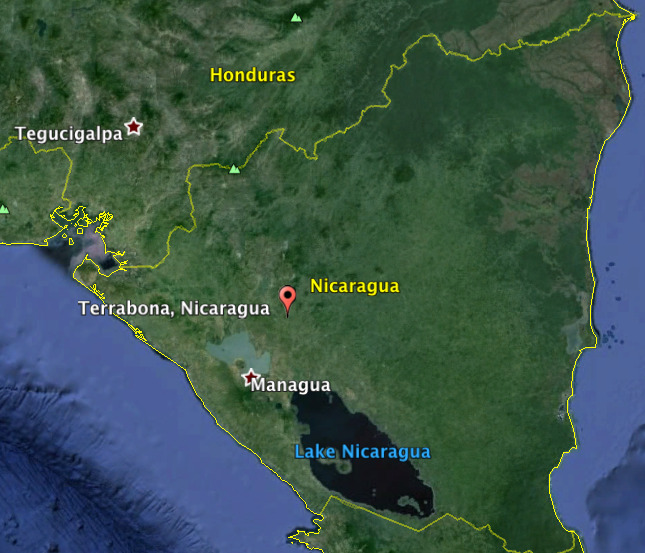 As always, on behalf of Jader and the people in his corner of Nicaragua, thank you for your ongoing support. If not for you,this work would not happen. Please give as generously as you can. The treatments that have been provided and continue to be provided to patients with different conditions have included analgesics, cold and flu medicines, and antibiotics. We also provide treatment for hemorrhoids, gastric ulcers, and diabetes. In the first three quarters of 2014, we continue to see reports of mild cases of illnesses associated with incorrect application of insecticides and pesticides of the type that are used in areas of cultivation of food crops, but we have not seen extreme cases reported. This is due to the opportune intervention of the groundwork done by the health personnel with respect to the education and conscientization and prevention related to focal points that serve to increase illnesses. Home Visits: 410 home visits were carried out in the 11 neighboring communities surrounding San Jose. 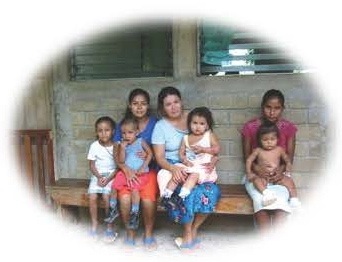 These communities are included within this health project and they receive home visits to educate them about both environmental and personal hygiene to avoid outbreaks of epidemics and to prevent illnesses as well as to provide follow up care for patients with chronic conditions. Vaccinations: 630 vaccinations during the March campaign (oral polio vaccine). Health Clinic (Nursing): 1,283 nursing health services were administered including injections, nebulizer treatments, removal of stitches, family planning, etc. Twenty meetings with various community leaders to set up programs of educational talks and community health campaigns; participation in two training sessions of community leaders on Natural Disasters and Planning Community Health. Educational talks: “Depression in school children” for parents of children at the local school; and “Preventive health: acute diarrhea” for school children and also for adults in the community. For children in the local school: "Preventive health: parasitosis"; "Preventive health: respiratory infections"; "Preventive health: caring for our environment"; "Peventive health: prevention of malaria and dengue”; “Preventive health: sexually transmitted diseases”; “Preventive health: personal hygiene”. Children’s health campaigns: Children in the school were treated for lice and for parasites in two campaigns. Clean up campaigns: Clean up campaigns were held in the school in coordination with the teachers, the clinic nurse, parents and alumni of the school with the objective of starting the school year by learning to live healthy and clean; in the community to clean up after the Easter holidays; to eliminate mosquito breeding grounds; and in the town to prepare for winter. Wheelchair donations: The clinic nurse by way of the foundation Christian Aid Ministries was able to obtain a donation of wheelchairs for patients in the various communities. 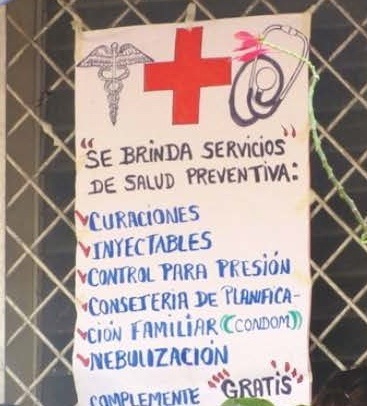 Condoms: The clinic nurse distributed 860 condoms to users in the different communities; it should be noted that this distribution is always associated with counseling about family planning and sexually transmitted diseases.